Windows Phone owners must wait until next spring for a major platform update, latest reports appear to confirm. The platform has shown strong growth in 2013, almost entirely thanks to a concerted campaign by Nokia and almost entirely at the expense of BlackBerry. But the upsurge in momentum hasn't obliged Microsoft to break a sweat: there are unlikely to be any surprises prior to Windows Phone 8.1 – codenamed by Windows as the "Blue" Phone update – which has been pegged for release in spring 2014. But one more "service pack" (Redmond brands these as General Distribution Releases, or GDRs) is expected before then, The Verge reports. GDR3 will give platform support to 1080-pixel screens, an orientation lock and … a Driver Mode. They won't be handing out beta blockers to dampen the WinPhonbois with this one. The current "service pack", GDR2, is currently being rolled out. Among other things, it included HTML5 improvements, a stability upgrade to Skype and FM radio. 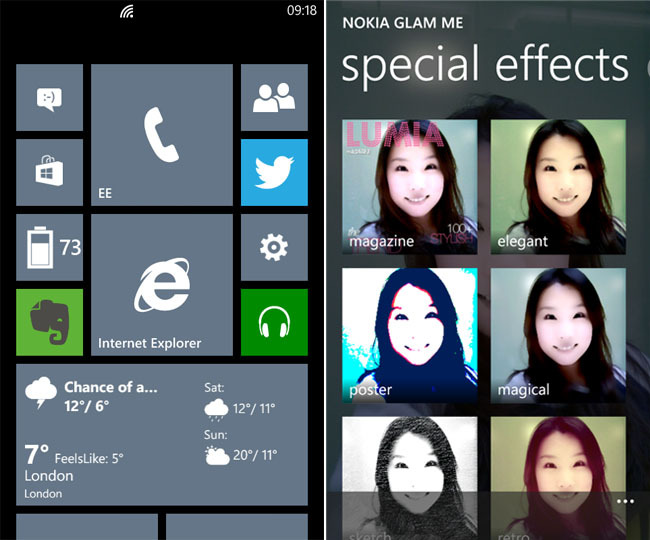 The updates generally hit new Windows Phones first before being introduced on the older phones. Microsoft did a remarkable job of switching platforms last year without anybody really noticing: it moved the Windows Phone OS to a new kernel, new app framework and a new API - abandoning the legacy Embedded CE kernel, and deprecating the Compact .NET framework (program-execution environment for apps) and Silverlight upon which Windows Phone 7.x was based. Impressively, it also did so without any compatibility glitches and by hitting demanding system requirements, making for a pretty lean package. The volume growth this year owes much to the Windows Phone 8's ability to perform well in 512MB on a 1Ghz processor - something BlackBerry can't manage with BB10 and which has so far eluded Landfill Android™ devices also. But these are behind-the-scenes improvements. Other than a "Kid's Corner" and resizable tiles, hardly anything has changed out in userland. In fact, the 2011's Mango update – aka WinPhone 7.5 - provided the last significant major userland change, and arguably the only major noticeable overhaul since Windows Phone's launch in late 2010. And it's not as if it's perfect. Users are impatient for a modern notifications - promised in 8.0 but held over for lack of time - and the system still lacks the on-device search function that all rivals now offer. Yet for all its relative success, the Windows Phone team must march to a corporate step. The chaotic legacy of Steve Sinofsky's tenure left Microsoft building "modern" apps on three incompatible UIs: Win 8 desktop, RT and Windows Phone.